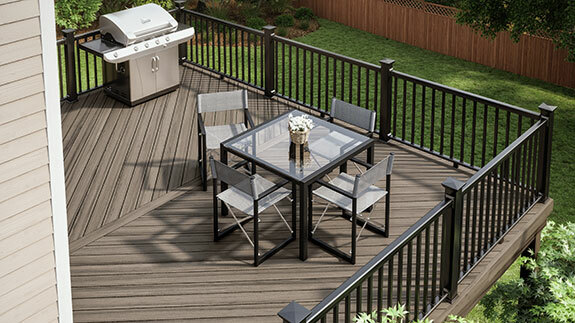 Build a rail to compliment your Veranda® deck with Veranda HP Railing kits. Just like our HP decking, Veranda HP railing components have a protective shell to give added protection against scratches, stains and fading. A variety of decorative accessories are also available to add flair to your railing project.